The massed ranks of the groundhopping fraternity were heading West for the Easter weekend, because Phil Hiscox, the General Secretary of the South West Peninsula League, had organised another of his legendary hops, that was to take in seven fixtures in three days. I’ve spoken about Phil before in this blog, he’s a hugely well respected man who’s league I feel is one of the best in the Country, if not the best. Why is that though? Its run superbly well, the information it provides is excellent, and its use of social media and the web is fantastic for a league of its standing, and would indeed put many of a higher standard to shame. But, for me, the opportunity to visit games and grounds in the league only ever arises through holidays, so careful planning needs to go into it, and with both dates and kick off times posted nice and early, and more importantly not subject to change, it does make life somewhat easier. Just throw into the mix the superb little grounds, the fantastic scenery, the great football and the wonderful hospitality, then you’ve got the perfect mix! So, bearing in mind the holiday in Falmouth was meant to be our Honeymoon, I chose to restrict myself to just the five games in seven days, don’t want to push it in the early stages do I? I wasn’t partaking in the organised hop as that was located too far East in Devon, but I was able to plan a Cornish one of my own. On the day of arrival the weather Gods had not been overly kind, I noticed one or two games going by the wayside due to waterlogging, but my game of choice at St Austell’s Poltair Park was very much on, and again, thanks to the leagues social media, it was very easy to keep an eye on things. A mere 45 minute drive from base camp, locating the ground was easy enough, and thankfully I was in time to grab one of the remaining parking spaces inside the ground. What a super ground Poltair Park is, located high up on a hill, adjacent to the famous St Austell Brewery, the home of Tribute, all of the furniture is situated down one side. 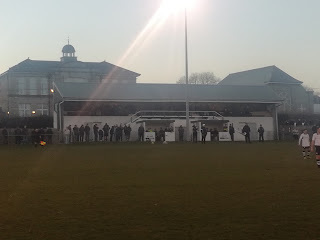 A tall, old, but characterful main stand sits on the half way line with the dressing rooms underneath, while behind this is the smart and busy clubhouse. 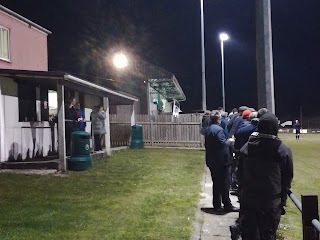 The tea bar is located to the side of the stand, while the remainder of the ground is hard standing, but what did stand out was the gradient on the pitch that went from the stand side down to the opposite side, it was quite a drop. 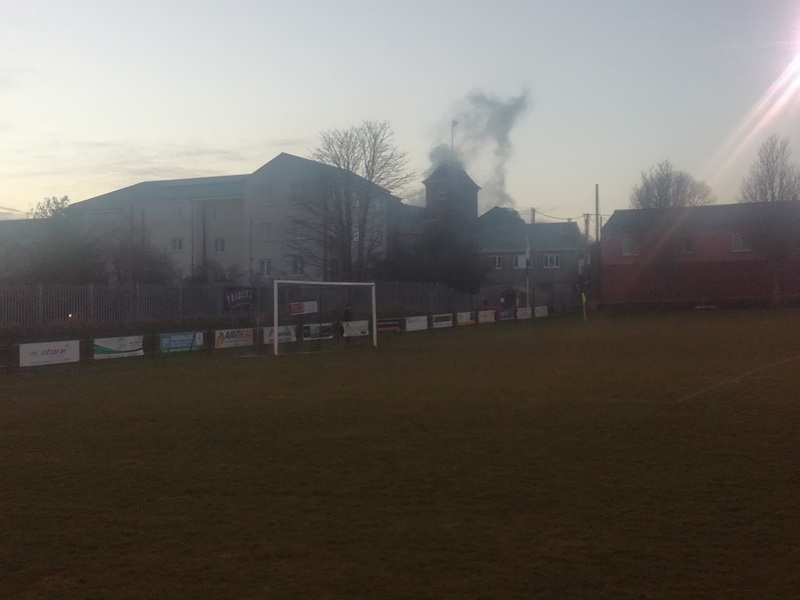 AFC St Austell are one of the biggest names in Cornish football. Originally plain old St Austell, they were members of the South Western League when it formed in 1951, right through to the formation of the Peninsula League in 2007. The championship was won just the once and indeed in the latter years times were tougher than they would have liked on the pitch, and consequently the final placing the year prior to the inauguration of the Peninsula League meant they were to start life in Division One West as opposed to the Premier Division . 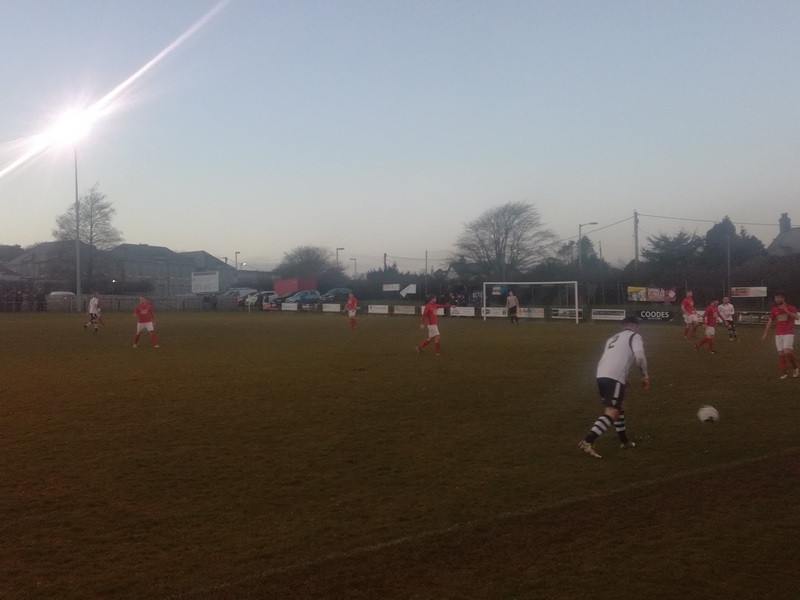 However, in 2010, now called AFC St Austell, a runners-up place saw them promoted for the first time in their modern history and from that point onwards things have looked pretty good. The championship was won in 2015 while runners-up spot along with two fourth place finishes in a five year period can only be classed as a success. 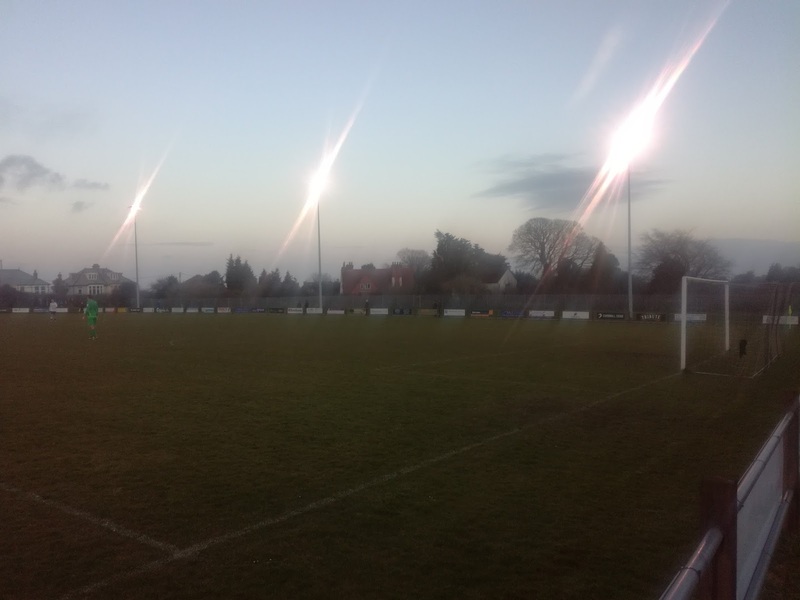 Indeed in the championship season, the club came within a whisker of a place in the FA Vase Final at Wembley, losing narrowly at the semi-final stage against Glossop North End. This season, the club sat just inside the top six, whereas visitors Tavistock knew a win would take them into second place. They won the league last season but this time around Plymouth Parkway are so far ahead the competition would need snookers to overtake them. With crowds averaging just under 200 this season, 160 turned out for the game with a decent number having made the journey West from the town North of Plymouth. Very good for this level of football. I phoned Mrs H at half time to report in that the score line was 0-0, but, it had certainly not been a poor game, in fact it had been a very entertaining, end to end spectacle. That said, a goal for either side could make it very interesting. He was right, it turned out to be a night not to forget for the visitors, with it all happening in a seven minute spell. Warren Daw pulled a goal back, and by now Tavistock had the momentum, this lead to increased pressure and then we got an equaliser thanks to Jack Crago. The game then moved into the final minutes and Josh Grant popped up to turn the game on its head completely and secure the three points for the visitors. It had been a fantastic game, with both sides giving their all, and you could argue neither side deserved to lose it. But for St Austell, as they sank to their knees at the final whistle, you had to admire what they had put into the game. As for Tavistock, they have a winning mentality, and it was that that saw them achieve what the vast majority of teams in this division would probably have not been able to do, come from two goals down away from home against one of the better teams in the league. A superb nights entertainment, and a great start to the Cornish adventure.